Thru-hiking is an evolutionary process. I thought I knew it all when I headed out on the Appalachian Trail in 2015, but experience is the best teacher and I learned a lot. 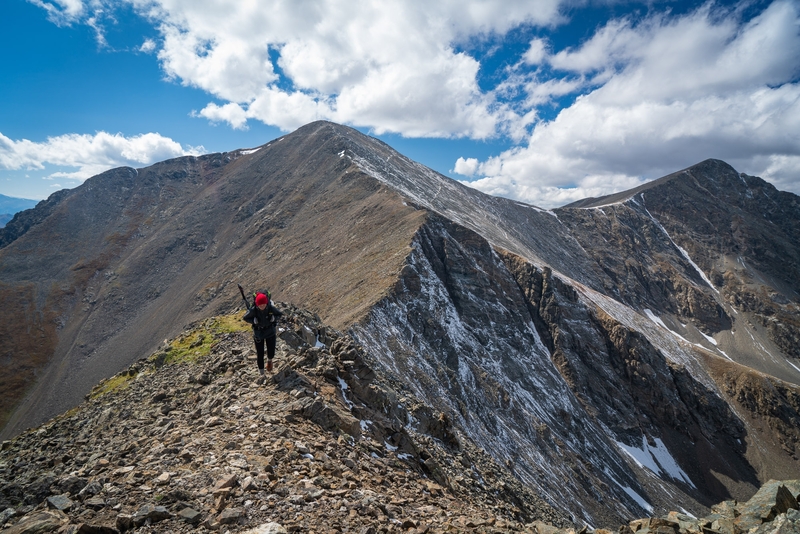 On the Continental Divide Trail in 2017 I faced a very different set of challenges but managed to “embrace the brutality” and learned even more. 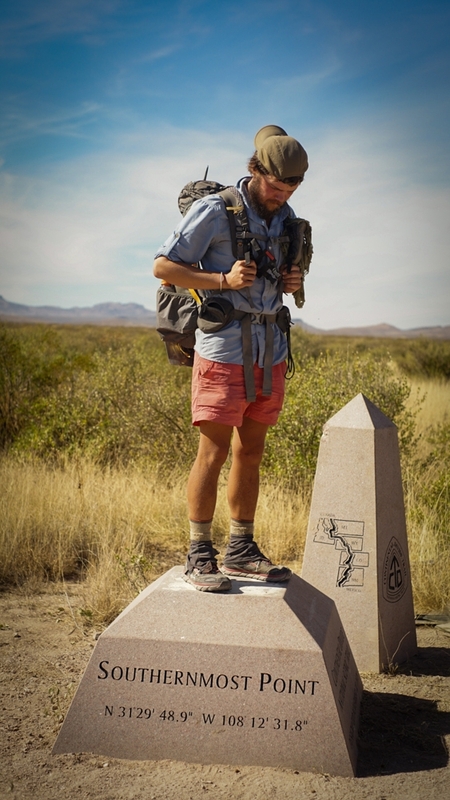 For my Triple Crown attempt I’ll be taking on the Pacific Crest Trail and I’ll be doing some things differently. It will change some of the gear I’d otherwise use: We’ll be able to share some equipment such as cooking gear, first aid kit, and other small essentials. The biggest change is that we’ll be splitting a two-person shelter and using a two-person sleep system. Depending on which gear we settle on we should be able to save some weight, which is always nice. I’ll have to be more considerate of the fact that I have a hiking partner: On the AT and CDT I was hiking in a group but did whatever I wanted. I could take a break whenever I wanted and hike at my own speed. Michelle and I know how important it is for us to have our own experiences and hike our own hikes, but hiking with a partner is different than solo or as a group. We’ll both have to make compromises and take care of one another. I wasn’t a fan of cowboy camping on the AT and at the start of the CDT but it grew on me. The simplicity of not setting up my shelter before bed and being “closer” to my surroundings means I’m a convert. We plan on cowboy camping 90 percent of the time on the PCT. Whenever the situation dictates using a shelter we’ll be switching away from a single-wall enclosed tent to a tarp. 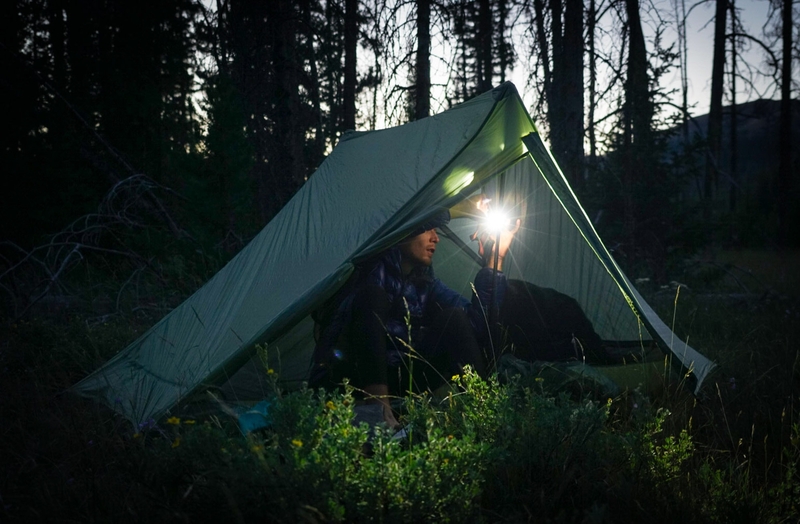 I’m confident in my ability to pitch a solid A-frame tarp, and the weight and bulk savings in our packs will be huge. I’m trying to decide whether a bivy will be necessary with the tarp. We can sleep inside the bivy when cowboy camping to protect our sleeping pads from thorns. The main reason would be for extra rain protection under our tarp. I’m not sure whether a bivy is the best option or a piece of Tyvek will do. If you have any thoughts on bivy/Tyvek/tarp combos for the PCT then leave a comment below. I’ve written previously on The Trek about how to physically prepare for a thru-hike and I’ll be using those same principles again for the PCT. This time around, though, I’ll be adding regular runs to my training regime. I ran a lot in my early 20s but lost the spark for it somewhere. After reading a lot about the benefits of running and starting off slow I’ve got the running bug back. I’m no marathon runner but I once again enjoy running. I’m going to use running to build powerful lungs that can power me up some of the long, arduous climbs on the PCT. Not carrying an emergency beacon on my AT and CDT thru-hikes is one of the stupidest things I’ve ever done. It’s a lot less necessary on the Appalachian Trail as the AT gets a lot of foot traffic but I still think it would be smart. On the CDT, however, we would go days without seeing anyone else. I was hiking in a group but there were many hours each day I’d be hiking alone in areas where one slip would mean serious trouble. Having a Spot Messenger could have saved my bacon in a scenario like that. I picked up a used Spot Messenger on eBay and will be attaching that sucker to my pack for more peace of mind. I want to spend less money on food: Food is one of the biggest expenses on a thru-hike and I want to try to budget more efficiently next time. I want my food bag to be lighter: Food is heavy! By choosing lighter-weight food I should be able to save a good amount of weight in my pack. This also goes well with the point above; if I spend less money on food there will be less of it and my food bag will be lighter. Boom! I’d like to eat healthier: Trail food is pretty unhealthy but I’m going to try to eat healthier. I’ll use dehydrated veggies, eat less sugar, and make better food choices at the grocery store. I plan on using a bounce box while on the PCT. There are a few reasons for this. I want to transfer and back up my photos on a regular basis so I will pack an old computer and external hard drive. I want to carry some harder-to-find food items like specific seasonings, dehydrated veggies, and supplements. I also want to store items that I may not need at the start of the trail but will want later. 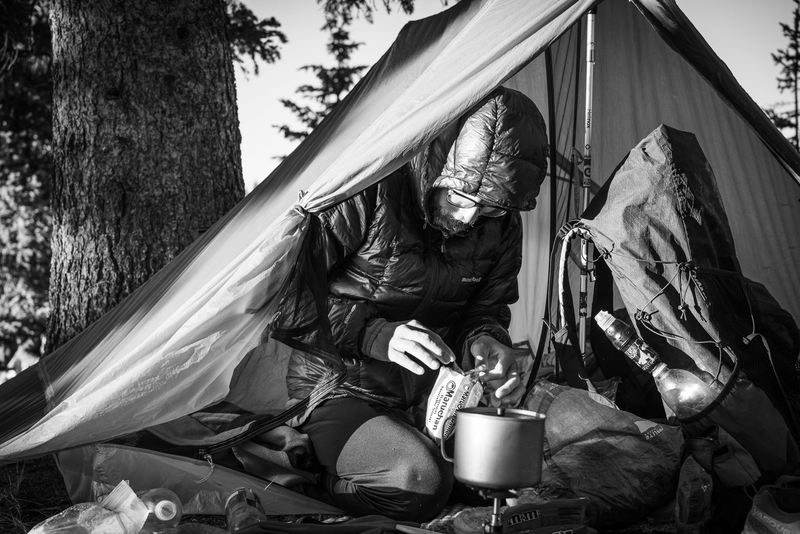 These include rain pants for Washington and a bug bivy for the mosquitoes in Yosemite. I’ll get a good-sized box that will hold what I need and send it farther down the trail to pick up every couple of weeks. I appreciate your insight…makes a lot of sense as I prepare for distance hiking. Love the idea of a bounce box. Never thought of that. Good luck! Oh btw, I’m going to use a tarp as well and when I need it the S to Summit bug net. Yeah a bounce box can be super helpful. I’ve looked at the sea to summit bug nets, how will you attach it to your tarp?